there’s a snake in my boot! – 365,17, originally uploaded by Fluttering By. For the past week, Thomas has been walking around the house saying that timeless phrase time and again. 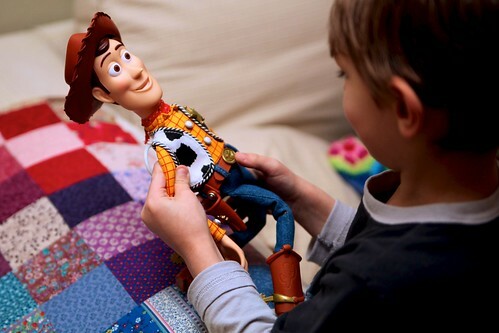 Today, he got his own Woody. Gosh, I love that movie.